WhiteSmoke Inc. announce their newest product and take away the primary disadvantage of sending emails via BlackBerry. Delaware, November 2010 – There are 41 million BlackBerry users worldwide, 59% of them check their email the second it arrives, and over 40% of them check their emails no matter what situation they find themselves in – in bed, driving, on vacation…etc. Even president of the United States, Barack Obama, depends on his trusty BlackBerry, known as the BlackBerry One. With the accessibility of emails being practically equal to that of the SMS, there is no argument that emails are today’s primary form of communication. More and more people want to be able to see their emails “on the go” and once seen, they must reply, hence the birth of the “forgive the typos” signatures. It would be irrational to expect everyone to send dozens of emails a day from their phone without any typos or grammar errors. The time that it would take to reread, rewrite and correct just isn’t worth the effort. Still, it appears that most people find it troubling every time they have to wonder if their email will be understood and if their intelligence will be judged. Yes, emails are today’s primary form of communication and yes, writing mistakes are bad. But somehow, in between all of that, mistakes sent from a phone are excusable. Sending out an email with an apologetic signature may seem ok but surveys show that even with the signature, most people feel uncomfortable when sending out the erroneous email. In addition, a signature not only takes away a certain formality from an email, but it also says that the sender is not in his/her office, peeling away another layer of privacy. The developers at WhiteSmoke Inc., all claiming to be proud owners of their own personal BlackBerry, knew that this was a problem that demanded a solution – and a solution was created. 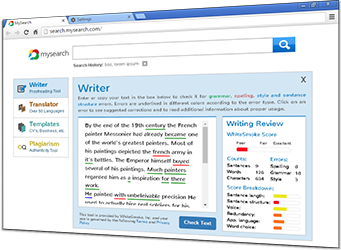 WhiteSmoke’s Grammar Checker for BlackBerry will allow users to send out an email from their BlackBerry error-free. 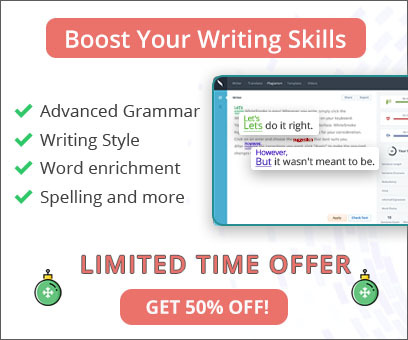 The WhiteSmoke Grammar Checker for Blackberry costs $9.99 and is available for download at the BlackBerry store.